Product categories of Lab Gravity Separator, we are specialized manufacturers from China, Lab Gravity Separator, Laboratory Wheat Mini Destoner suppliers/factory, wholesale high-quality products of Small Capacity Destoner Machine R & D and manufacturing, we have the perfect after-sales service and technical support. Look forward to your cooperation! 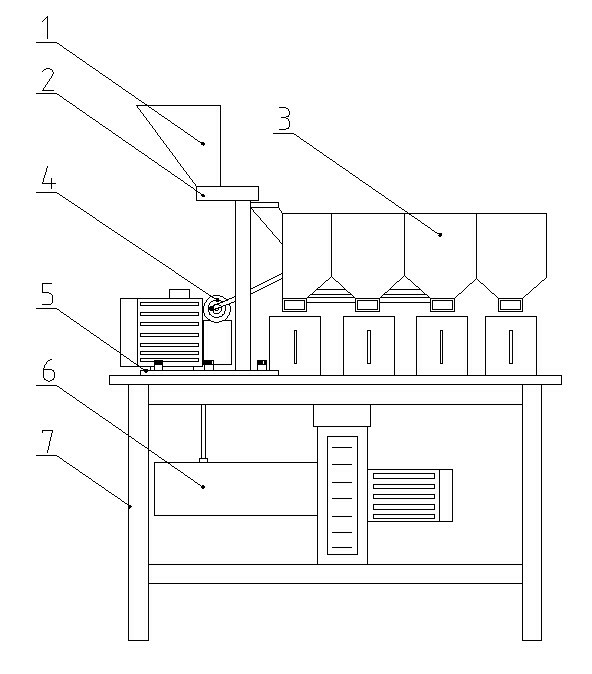 The 5XZ-L Laboratory Gravity Separator is used for separating seeds by specific gravity difference. It effectively separates granule with heavy specific gravity ( as gravel, soil particles), and granule with light specific gravity (as mildewed seeds, seeds damaged by worms). The Lab Gravity Separator sieve bed is triangular shape. On the sieve bed, there are more aluminum punching holes under the hopper area. This design will help raw material stratification. By the effect of the sieve bed vibration and air blowing from bottom, the raw material is well separated to different ranks. The material discharge outlets are at one side. Outlets are for light impurity, mixing material, good seeds. There are flexible plates on outlets end. These plates can be adjusted to divide area then getting desired sorting effect. Laboratory Gravity Separator's sorting base on grain density difference. The gravity separator table is triangular structure. The gravity separator table vertical angle, horizontal angle, vibration frequency, bottom air blower volume are all adjustable. 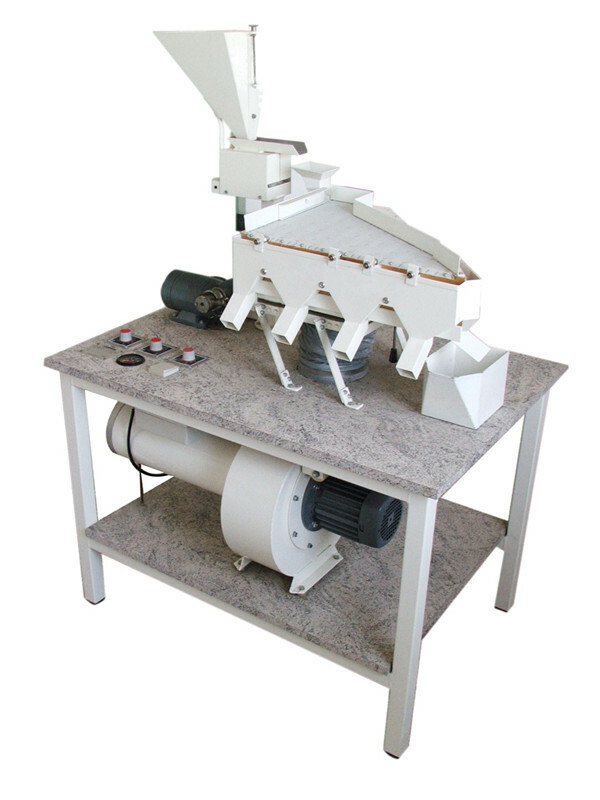 This can meet different dimension /density seed sorting requirements. By using the gravity separator, you will seeds density distribution of this batch of seeds. It is an important seeds studying equipment.